By now you’ve probably seen the impressive exterior renderings of 1 Yorkville. 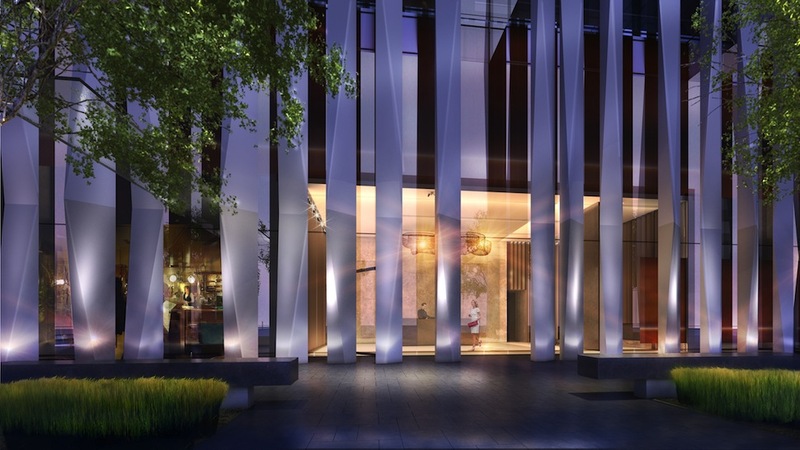 This time we’d like to take you inside 1 Yorkville, which is just as impressive as the outside. 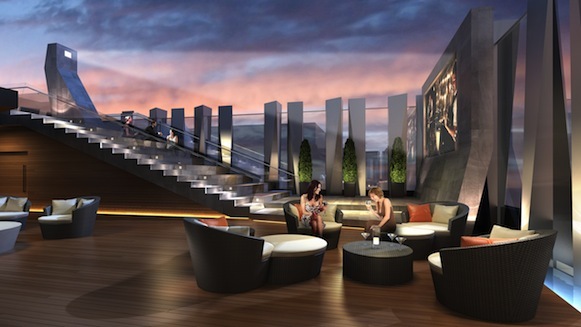 1 Yorkville will have three-tiered amenity floors which will be designed by the Design Agency, whose impressive client roster includes Momfuku Toronto, The Generator Hostel and the Shangri-La. 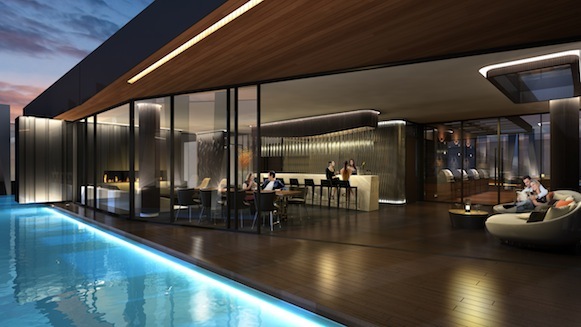 The spa will have an outdoor pool that offers residents unparalleled views of the city. Residents will also have access to meditation classes, aqua massages, a fully stocked juice bar, a hot tub, cold and hot plunge pools, a steam room and sauna, and a privateZen Garden. There will also be a dance studio equipped with a state-of-the-art sound system. This level will include a fitness gallery equipped with modern cardio equipment and machines, and a Pilates studio and cross-fit studio for those who want a more exciting and challenging alternative to exercise machines. The rooftop level will be framed by a water feature and will include two sun decks, a BBQ area, party rooms (with fully equipped kitchens), a multimedia room and an outdoor cinema. 1 Yorkville will truly be a unique building with a unique design and with some of the best amenities in the city. We’ll be releasing more renderings soon so stay tuned! For continuous updates about 1 Yorkville make sure to register here and to follow us on Twitter.